This is a story I've thought about writing many times. And haven't been able to with the respect for the people involved. The kamikaze, the Divine Wind, that had protected Japan from the Mongol invasions of history has different perspectives but hopefully ones that can be left in the past. Each time I've started the explanation, the loss of life, the mothers sacrificing their children to allow their fathers to be selected, those on the front line defending their ships, it's been something I couldn't bring together. But everyone should read the story below. Thank you Yuri Kageyama for the amazing article that follows. All rights Yuri Kageyama. “I did not want to say I wished it. I didn’t wish it,” he said in his apartment in Yokohama. 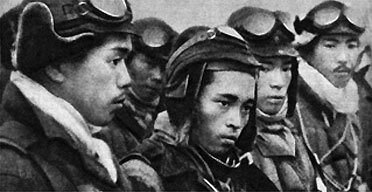 They were the kamikaze, “the divine wind,” ordered to fly their planes into certain death. The U.S. Strategic Bombing Survey and data kept at the library at Yasukuni Shrine in Tokyo estimate that about 2,500 of them died during the war. Some history books give higher numbers. About 1 in every 5 kamikaze planes managed to hit an enemy target.